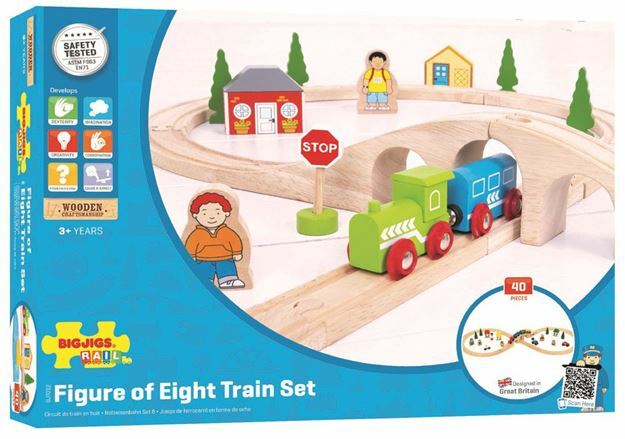 Designed to inspire and educate young minds, there are endless playtime possibilities with this classic Bigjigs Rail 40 piece wooden Figure of Eight Train Set. Includes: a wooden engine, 2 carriages, freestanding houses, village folk, cars, signage, trees & more. Age 3+ years. Compatible with most other wooden railway brands. Distributed in New Zealand by Holdson.